Sired by multiple Champion Snowmass Royal Challenge with Grand Sires that include Snowmass Royal Challenger, Snowmass Andean Bronze, AML El Duro's Principio and 4 Peruvian Legacy 6016. Firestorm is currently the winner of 12X CC/RC banners and 3X Judge's Choices. Firestorm's histogram for 2016 was AFD 16.2, SD 3.4, CV 15.8, 0.3. His latest EPD'S rank him in the top 10% in AFD, Spin Fineness, Mean Curvature and % Medullated Fibers. 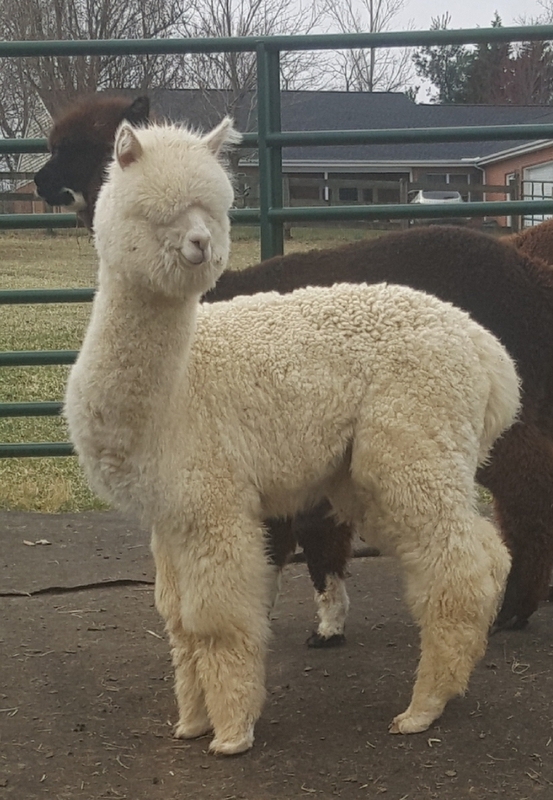 Cassidy has been an excellent mom and has given us a beautiful female cria out of our 5X champion, All In Favor. She sells with a breeding to our 12X Champion and 3X Judge's choice winner, 7SAF Firestorm. Firestorm'sSir Lancelot comes from a genetic background full of Champions. From his sire, a 12X Champion and 3X Judge's Choice winner to his Dam, sired by by 14X Champion, Kirwin. 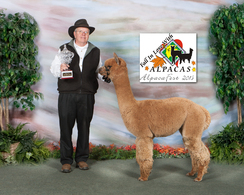 If you continue into his genetic background, you will find multiple Champions, including Snowmass Royal Challenge, Snowmass Royal Challenger, Snowmass Royal Rose, Hemingway, 4Peruvian Legacy, Snowmass Andean Bronze, AML El Duro's Principio, and more. And that is just the Sire's side. 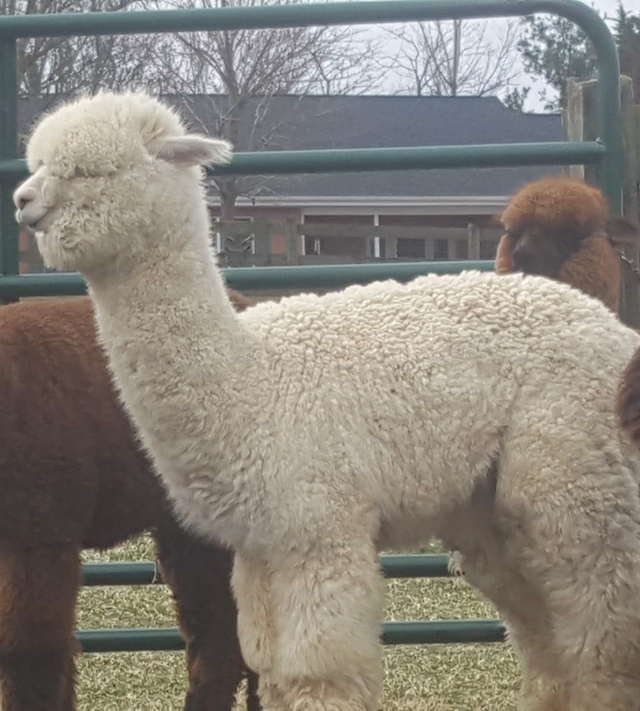 On the Dam's side, there is Kirwin, Crescent Moon's Rayo del Sol, Danko, PPPeruvian Royal Fawn, 4Peruvian Legacy and Crescent Moon's Kryptonite. This young male is very fine with a beautiful handle and excellent staple length. A big plus is that he will surely cover color when he reaches breeding maturity.